The Race For The Pennant! "Well it looks like the home town boys are down to their last out in this, the seventh game of an incredible series. The count is full, so the runners will be going. Here's the wind-up and the pitch..Oh, Wade got all of that one!!.. it's going...going....Cole races back to the warning track.... IT'S G O N E ! ! ! H O M E R U N ! ! !" 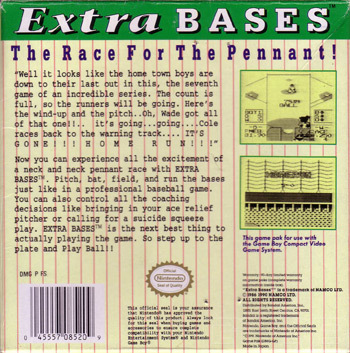 Now you can experience all the excitement of a neck and neck pennant race with EXTRA BASES™. 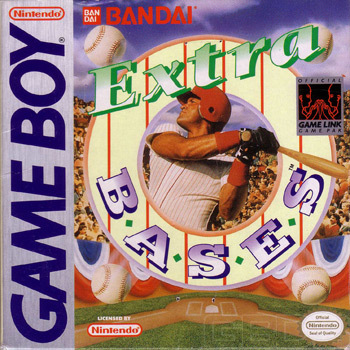 Pitch, bat, field, and run the bases just like in a professional baseball game. You can also control all the coaching decisions like bringing in your ace relief pitcher or calling for a suicide squeeze play. 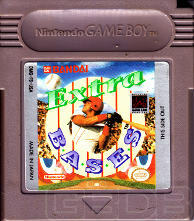 EXTRA BASES™ is the next best thing to actually playing the game. So step up to the plate and Play Ball! !